Images – a selection of correctly sized images for use on Facebook, Twitter, Instagram or any another social network. Suggested posts – examples of posts for Facebook and Instagram plus tweets for Twitter. Links – the suggested posts for Facebook and Twitter also contain links to the It Starts With Me online testing tools and the self-sampling postal test service. Testing is necessary to diagnose HIV and prevent onward transmission. Testing is easy and accessible in the UK. People can rest assured that, if diagnosed with HIV, they can access free treatment and support. 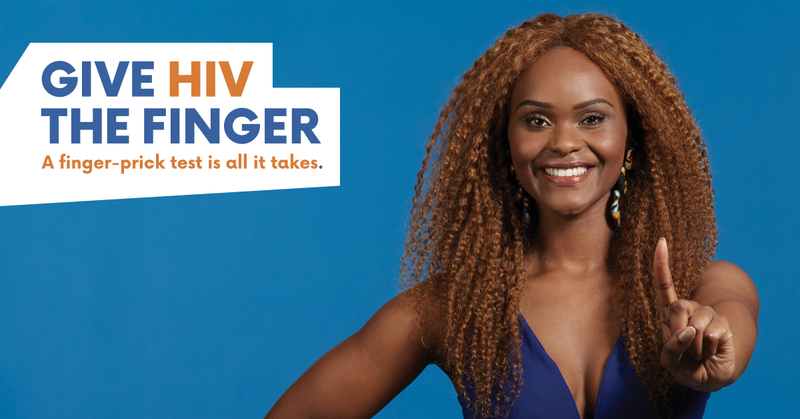 The national home sampling HIV testing service will be available across all of England from Monday 5 November 2018 to the beginning of January 2019. If you can, please use the bit.ly links we’ve provided in the pack when posting to social media, as they contains tracking that will help us understand if the posts lead to people ordering self-sampling kits. Our tools help individuals make decisions on how they would like to get tested, find out when they need to get tested and where to get tested. These tool can be found on It Starts With Me. You can include links to these tools in some of your social media posts where appropriate. The site works well on both desktop and mobiles making it very easy to use the tools. ‘Where to test’ tool: This helps people to find out where to get a free HIV test near them by searching by either postcode or a place name. ‘When to test’ tool: People are invited to answer a few questions about themselves and their sexual activities and they get a recommendation on when they should get an HIV test. ‘Which test’ tool: This tool helps people to find out a testing option that might be suitable for them. It helps people understand that there are different options on how one can get tested.